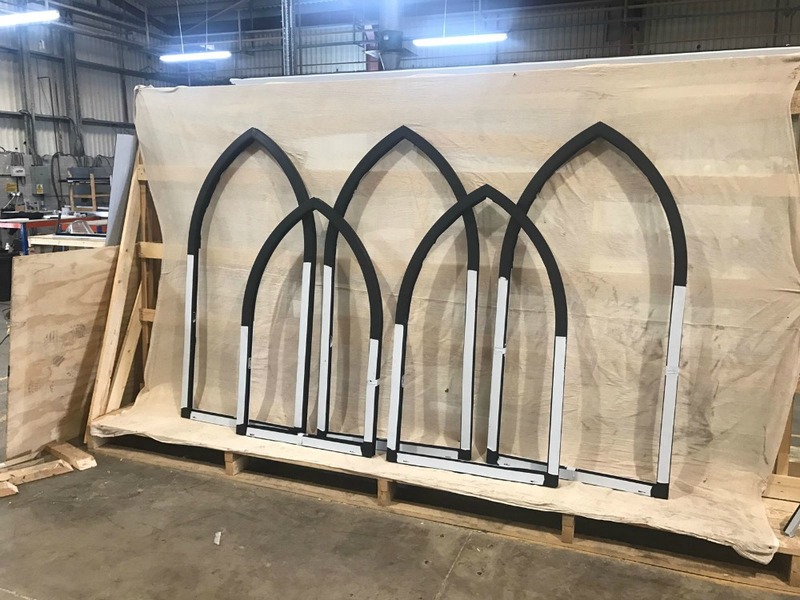 These are brand new aluminium church windows ready to be fitted by our team today. They are going 6 meters high! Call us today for all of your glass & aluminium needs on 01244 550148. UPDATE: see the finished project here!